Plus CBD Oil is a committed manufacturing and distributing company for all your CBD needs. They believe in producing top-quality CBD oil, so that their customers experience complete satisfaction. Whether you are looking for CBD drops, sprays, balms, gummies or capsules, this company believes in making CBD as accessible as possible for those who need it most. They make each product safe and effective, supporting balance in both the body and mind. This Plus CBD review is intended to be as informative as possible, so we will be exploring the history of the company, their take on the ‘evolution’ of the hemp industry, and of course, the high-end range of CBD products that they currently have on offer. Plus CBD oil describes themselves as ‘pioneers’ of the CBD world based on their passion for discovering all the hidden and beneficial qualities of the hemp plant. With a lot of research, time and money, they have always been at the forefront of discovery – or as they call it, ‘evolution’. CO2 extraction: Plus CBD uses one of the purest methods of CBD extraction. CO2 extraction is a process that uses pressurized carbon dioxide to pull the desired chemicals from the hemp plant, without using any dangerous solvents. Discounts: The website offers some great discounts for potential buyers. Currently, if you buy 4 products from them, you can receive the 5th for free! This is a great way to save some money. Informative: As we have mentioned before, the company is extremely passionate about hemp knowledge. On the website, you can find blogs, videos and events, all related to hemp and CBD. Wholesale: Plus CBD has become so successful selling to the consumer that they now sell their products wholesale! As a buyer, it gives us a vote of confidence for the quality of their CBD oil. Shipping: If you don’t live in North America – have no fear! The company ships to many countries worldwide, and even if you can’t find your country while checking them out, you can send them an email and they will help resolve the issue. Plus CBD Oil pride themselves on their top-quality cannabidiol products, and they have worked hard experimenting with different methods of CBD extraction. Now that they have perfected this method, it would be great to see a larger variety of products – especially in the edibles category. It’s going to be a popular year all round for interesting CBD edibles, and we would love if Plus CBD Oil jumped on the train! 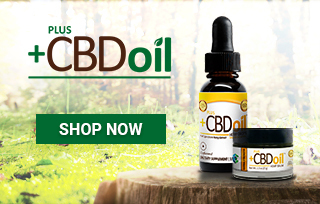 Plus CBD Drops: The Plus CBD drops are one of the most versatile products on the website. They can be easily added to smoothies and foods such as porridge. Customers have the option of both the regular CBD Drops and the Raw Drops, the difference being that the Raw Drops contain acidic cannabinoids – these are produced directly in the plant and are thought to be extremely helpful for medicinal purposes. Plus CBD Spray: The Plus CBD spray seems to be the easiest to administer and is most popular option on the website. It comes in three different flavors: Unflavored, Peppermint and Café Mocha, making it a really fun and accessible product for new users of CBD. Plus CBD Balm: The combination of Vitamin E, fatty acids and cannabinoids found in this balm is designed to ease the suffering of general dry skin or more serious conditions such as eczema. The Plus CBD Balm is a popular choice as it can be applied directly to your problem areas, leaving the skin feeling refreshed; the application as easy as possible. Plus CBD Softgels and Capsules: These are a hassle-free way to get your daily dose of CBD. The softgels are 100% vegetarian, non-GMO, gluten-free and made with an Extra-Virgin Olive Oil base. Both the softgels and the capsules are made using the CO2 extraction method, creating a very pure form of CBD. There are a variety of different sizes to choose from, too, so whether you are looking to stock up or try something new, there is an option for everybody. 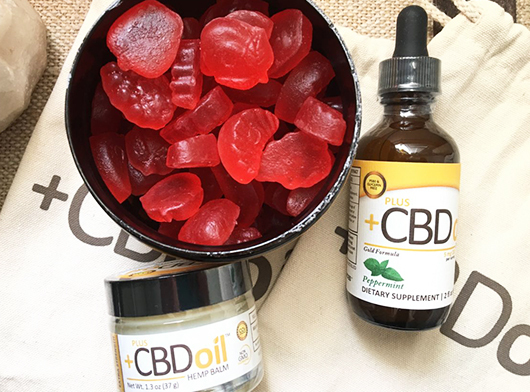 Plus CBD Gummies: For those who want a product equally effective as it is tasty, the CBD gummies are a great pick. They come in two delicious flavors: Cherry Mango and Citrus Punch. They still contain the top-quality CBD oil found in the other products, but these are much more fun! So, what is the final verdict on Plus CBD Oil? Well, we love their philosophy of educating themselves and the many customers who visit their site. 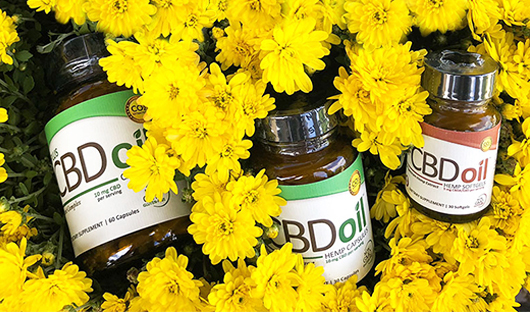 The CBD world is always evolving, and they seem determined to stay on top of the buzz, so they can continue to make the best possible CBD products. Their products seem effective for a myriad of health concerns, and whether you are just beginning to experiment with CBD or are an avid user, you should be able to find a very satisfactory product here. We hope you found this Plus CBD Oil review to be helpful and informative, and as always, be sure to get in touch if you have any additional questions or concerns about this brand! The Plus CBD Gummies in both the Cherry Mango and Citrus Punch flavor are delicious! They are a sweet way to enjoy the health benefits of CBD. This is my first time trying a softgel rather than a capsule, and now I can see why they are so popular. Much easier to take and I notice the effects quicker than before. I don’t even think about the fact im consuming CBD when I eat the gummies, that’s why I like it so much. After hearing that Plus CBD utilizes one of the purest methods of CBD extraction, I immediately ordered their CBD oil and im so happy i did! The Extra Virgin Olive Oil Spray has become my new favorite CBD product, can’t wait for my friends to try it! Mark from Ashburn just bough! Emmett from Ashburn just bough!